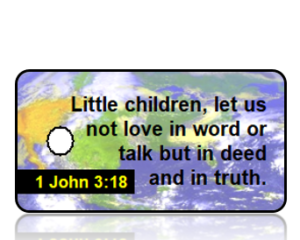 1 John 3:18 (ESV) - Little children, let us not love in word or talk, but in deed and in truth. 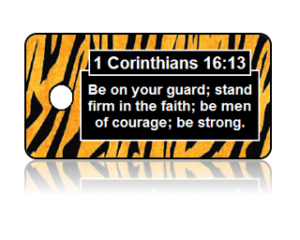 1 Corinthians 9:25 (NKJV) - And everyone who competes for the prize is temperate in all things. 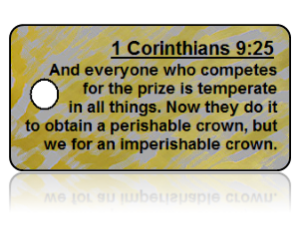 Now they do it to obtain a perishable crown, but we for an imperishable crown. 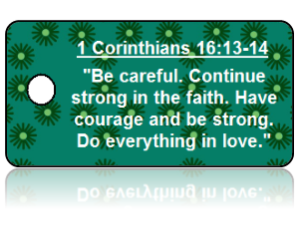 1 Corinthians 13:13 (NIV) - And now these three remain: faith, hope and love. 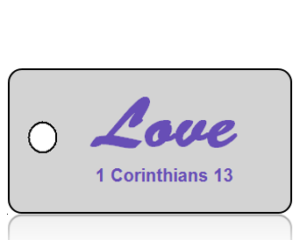 But the greatest of these is love. 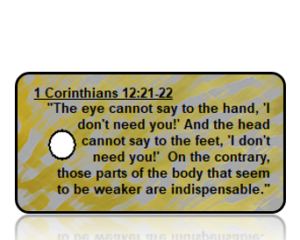 1 Corinthians 12:21-22 - "The eye cannot say to the hand, 'I don't need you!' 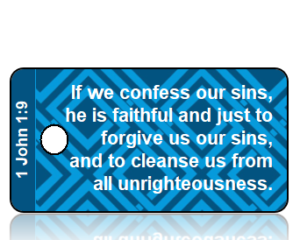 And the head cannot say to the feet, 'I don't need you!' On the contrary, those parts of the body that seem to be weaker are indispensable." 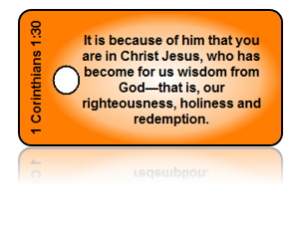 1 Corinthians 1:30 (NIV) - It is because of him that you are in Christ Jesus, who has become for us wisdom from God - that is, our righteousness, holiness and redemption. 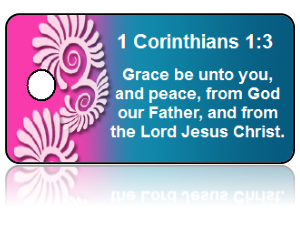 1 Corinthians 1:3 (KJV) - Grace be unto you, and peace, from God our Father, and from the Lord Jesus Christ.